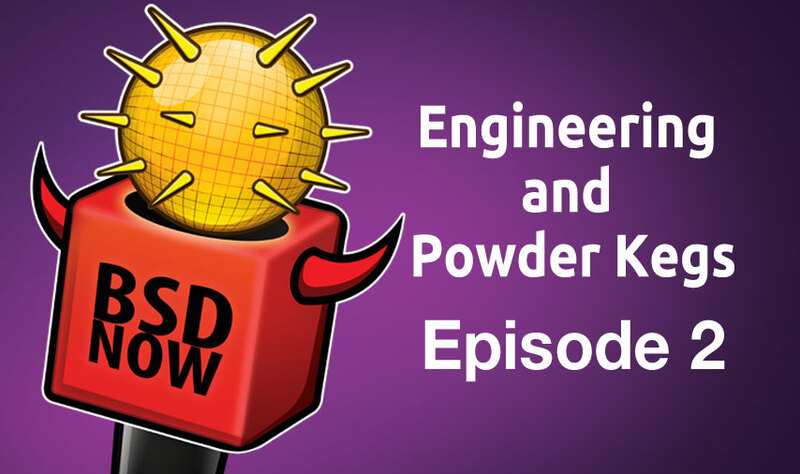 BSD Now is BACK to talk with Glen Barber from the FreeBSD Release team, show you how to build your own binary package repository and discuss the latest BSD news! Many operating systems face an upcoming challenge, similar to (but more complicated than) Y2K: Y2038. All of the BSDs and most other operating systems track time by counting the seconds since Jan 1st, 1970. In 2038 this value will reach the maximum value of a signed 32 bit integer. ABI incompatibility. Updating to this kernel requires extra work or you won\’t be able to login: install a snapshot instead. Upgrading by source is for the insane only. Six weeks after the initial email, still no release. des@ is not pleased. We received TONS of email. We’ll get to a few of the questions, but a lot of them will be answered in future episodes. Due to the way publishing happens at JupiterBroadcasting, there were no RSS feeds until the first episode was published. The feeds for MP3, OGG, SD and HD Video and Torrent are now in the top right corner of the BSDNow.tv page. The episodes will also be published on iTunes once the show is approved by Apple. Frank writes in with a long question: “My company is a major CA. We run virtualized RHEL 6 virtualized on KVM, about 3000 nodes serving different purposes on about 350 pizza boxes also running RHEL/KVM. We have kind of a sale issue. To have both TLS 1.2 support and ECC ciphers available we have to recompile both OpenSSL and NGINX and a few other system packages. I\’ve built RPM\’s, but there still are issues on a default install, relating to other not to be disclosed core business software choughJava based cachough. However, compiling it all on each machine does work. Now I\’ve got this working on FreeBSD kvm virtual machines, which both provide better performance (almost 30% less resource usage than the RHEL nodes) and also work with our configuration management stack (puppet + homegrown). It also would allow us to drop a lot of virtual nodes because less BSD boxes can handle the same amount as the CentOS ones. And of course the lack of security issues, less software by default on a fresh install and such. My team also likes it, has knowledge, supports a migration, and the metrics support it, however management is not happy and does not want to do such a big \”migration\”. (Not knowing that about 100 VM\’s are already FreeBSD and working). Also, they don\’t like that they\’ve got a 10 year contract with Red Hat and have paid for that… But, in the end the cost would go down because of the migration.